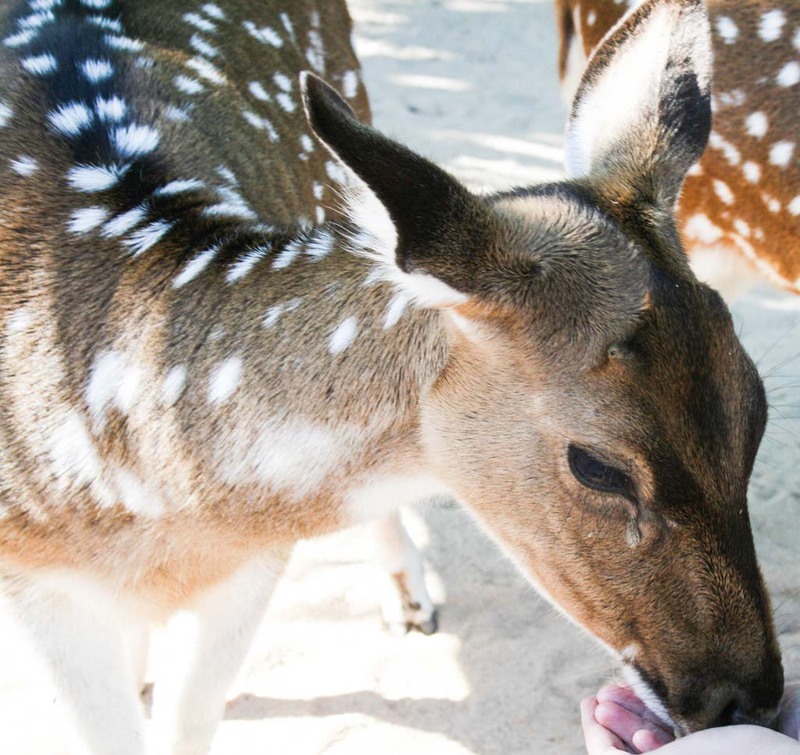 Casela Nature and Leisure Park in Mauritius is a 14 hectares park offering animal interactions and adventures for the entire family. For bold adventure lovers, there are quad, buggy and segway tours, the longest zip line circuit in the Indian Ocean including hanging bridges, hidden waterfalls of up to 20m in height, and Canyoning. 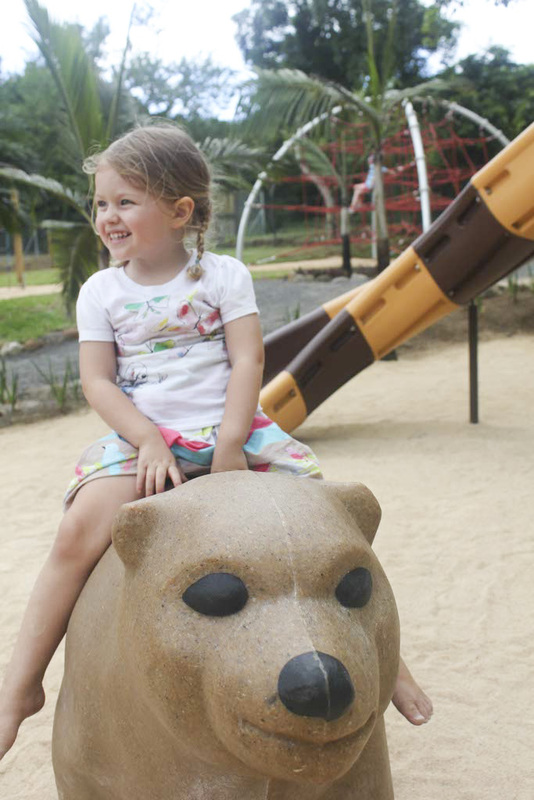 For a tamer adventure, there is a safari, a playground, a petting farm, fishing, and an aviary. We were able to get up close and personal with several animals including zebras, ostrich, birds, deer, rabbits, giant tortoises, a lion and a bear. 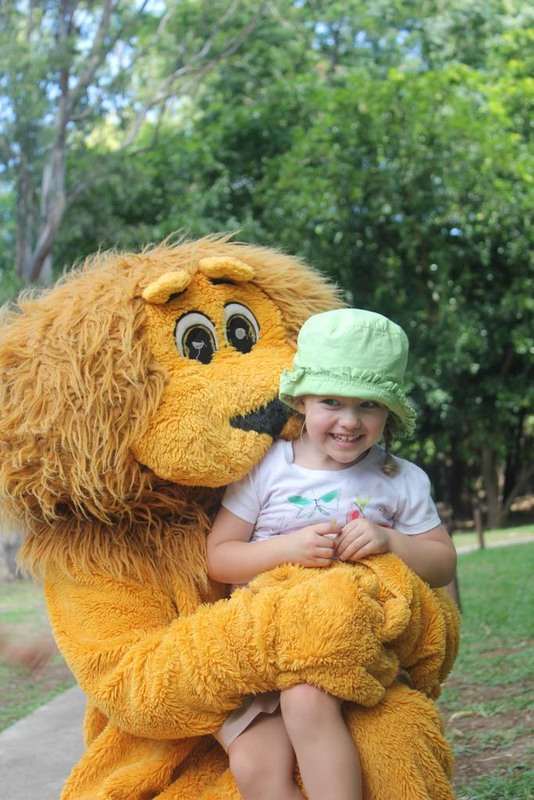 Yep, you read correctly – a lion and a bear. 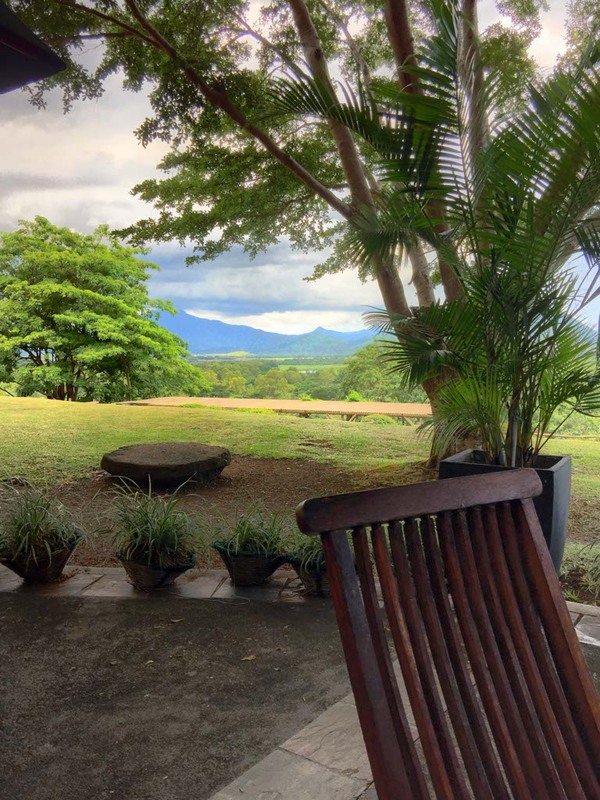 With tons of animal interaction, a timely transportation system, delicious dining with a view, and loads of trees for shade and natural beauty, Casela is an awesome place to spend the day with the whole family. From the Discovery Center at Casela, a safari vehicle transported us to our first stop, the Petting Farm. Athena and I were able to hand feed and bottle feed rabbits and fawn. 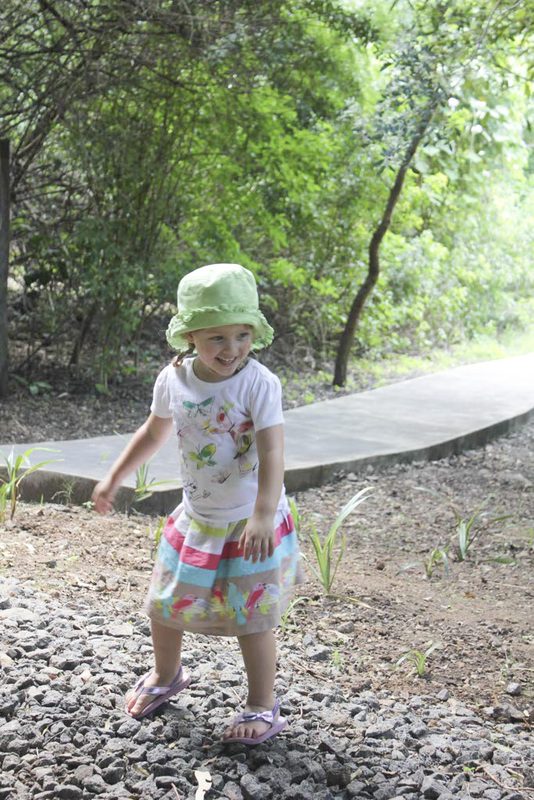 Athena happily played in the pathways and natural trails in the park. Waiting for the safari vehicle in between stops was part of the adventure. It usually only took a few minutes to arrive but it gave us time to enjoy the natural surroundings. Our next stop was the Big Cats. 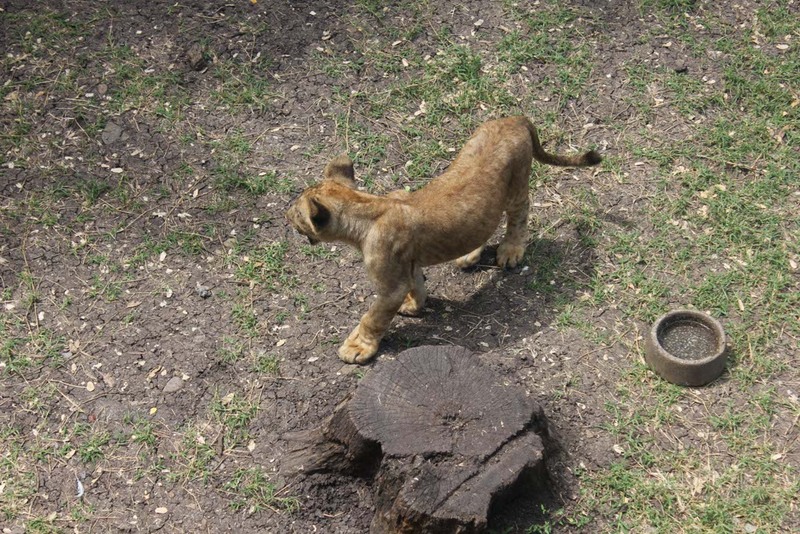 Excitedly, we watched four lion cubs playing in an enclosure. They were climbing and chasing each other like young brothers and sisters do. It was at stop three that we went on a safari tour and Athena came face to face with a lion. Ok, it wasn’t a real lion but Athena was happy. 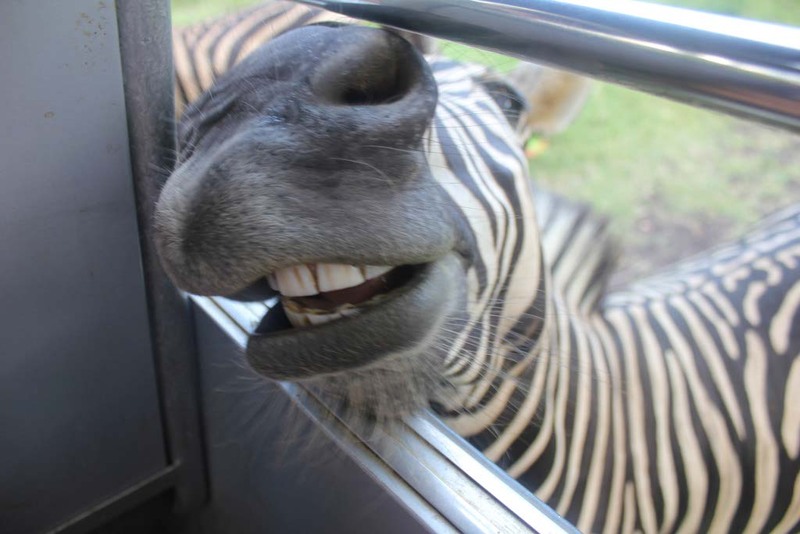 During the safari, we also came face to face with real zebras and ostrich. Lunch at the restaurant followed the safari and several birds joined us for a snack. The food was delicious with local and international choices, the service was personal with attention to children’s dining needs, and the view was spectacular. We were surprised to find a section for giant tortoises in The Park and even more surprised with how close we could get to them. We finished off the day with a stop at the Playground and a visit with a bear. Ok, again I tricked you. There weren’t real bears but I think Athena, and I, were happier with this interaction. It was a beautiful way to spend our first full day in Mauritius. Athena continues to impress me with her calm demeanour around animals and her love for being outdoors. A place like Casela is her Utopia. This entry was posted in Africa, Mauritius, Travel and tagged Africa, African Safari, Casela Nature Park, Family, Mauritius, Safari, travel by lesleycarter. Bookmark the permalink. so very cute..What a treat with the little birdys feeding with you at the table!!! Lesley–MOMS are good at coming to the rescue..haha I was going to tell you I have been working on my photography skills. I am a very slow learner, but I did finally get back to Instagram. If you get a chance drops by there and see the birds. I am doing this 30 day challenge of finding a different sort of bird here in Seattle…You might get a kick out of the hummingbird today. I am under alesiablogs like my blog name…..I think you have been there before, but I have not put anything up in a very long time…Call me a slow learner….take care!!!! I had never heard of Mauritius before, thanks for introducing us to this cool island! It’s a dream here! Yesterday we saw one of the most stunning waterfalls followed by a coastline that made me drool. Amazing! Sounds fantastic! 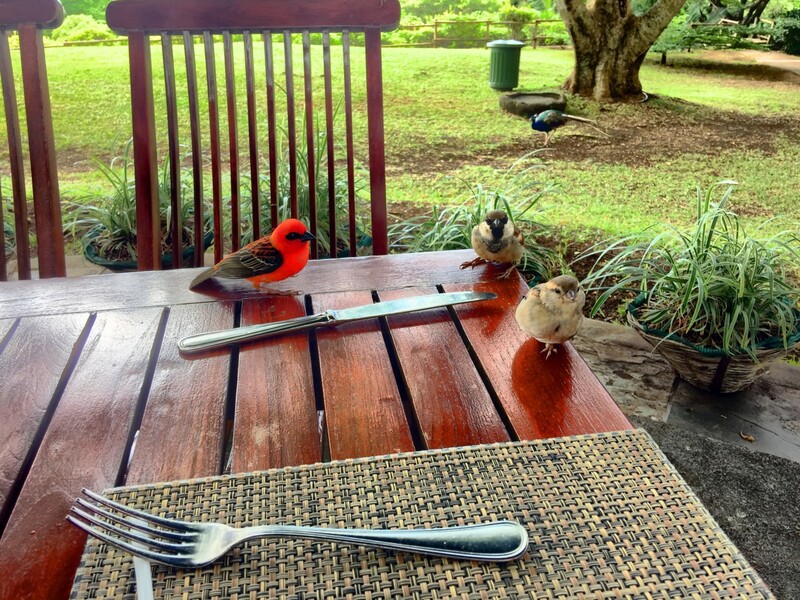 Out of all the photos you posted, I really was captivated by the bright red bird on the table. Such vibrant colors! 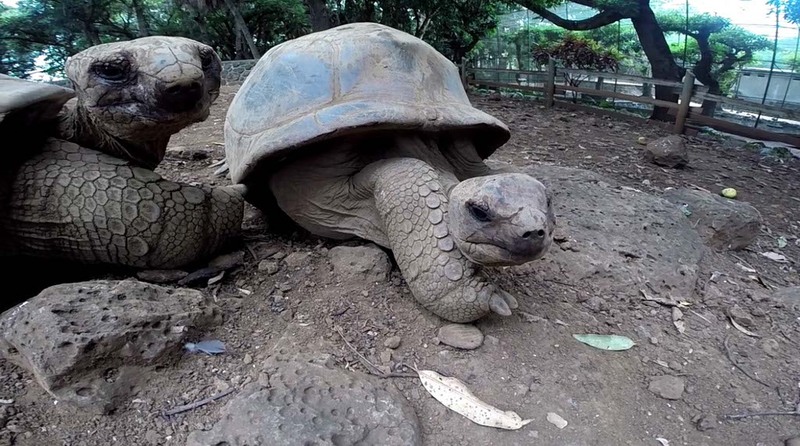 The Tortoises are pretty gruesome looking-old perhaps! Fun day overall! Stay safe. Beautiful pictures! 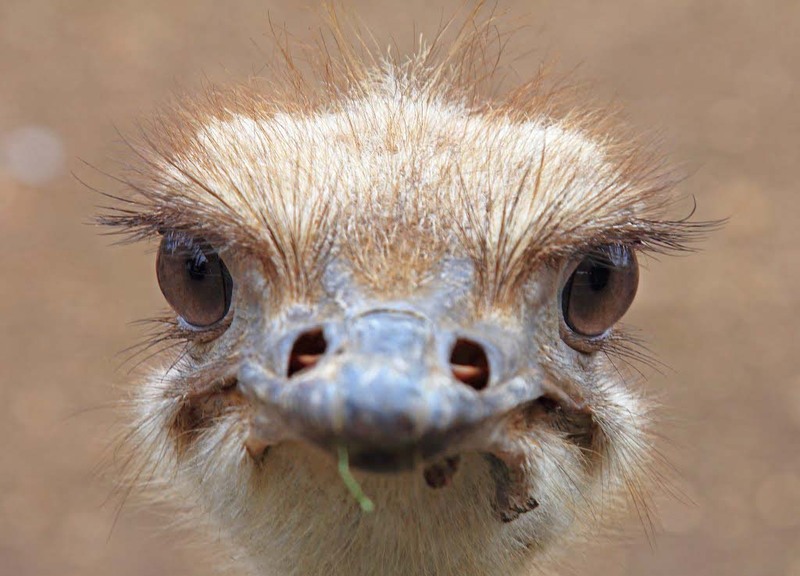 I love the ostrich!! Watching it run alongside the truck was really cool as well. Have you ever seen them in real life? No, I never saw one in real life, just on the television. lions (and tigers) and bears, oh my! Sounds wonderful! Gorgeous birds on the table. They would be welcome at all my meals. Athena has a great open face. She seems like a really confident person. I love that she is experiencing different countries and cultures regularly. I think that adds to her confidence. 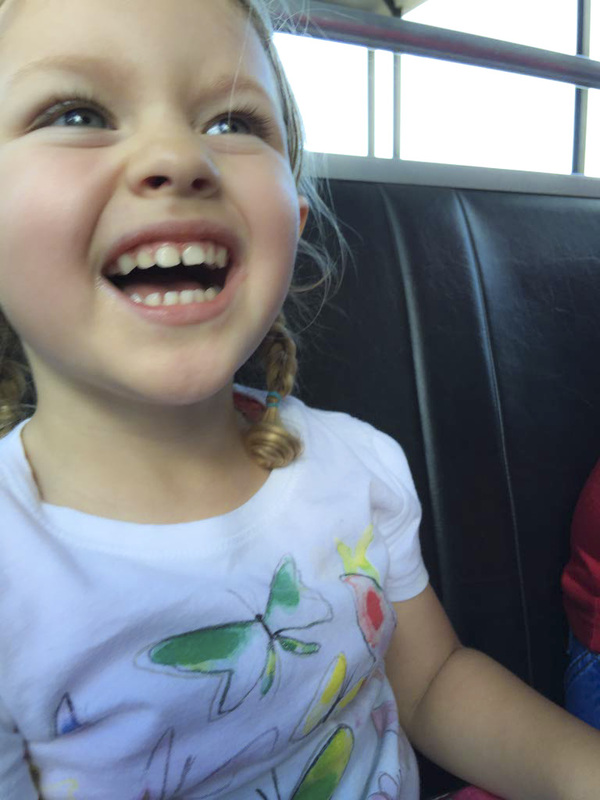 Loved the pictures, they all made me smile, but Athena’s smile is so infectious, it’s magic. That face says it all…what a beautiful part of the world.